Did Patricia Krenwinkel know William Garretson.? INMATE KRENWINKEL: I'm -- I really don't. I just know that I stopped when I went to the back house. INMATE KRENWINKEL: And I do know that William Garretson was in there. PRESIDING COMMISSIONER CHAPPELL: Okay. Okay. And then, you said you left. So, She knew he was in the guest house. Did she not go in and kill him, because she knew him? Interesting, where did you find this? Also she could have been stating this in "hind sight" like she knew that he was in there AFTER the fact. It's one of her many parole hearings. I also think that she stated this in hind sight, "Oh I knew he was there." Probably having heard that over the years. When I first read that, I thought that also. Some think that the Pat he knew could be her but no evidence it was. Maybe she would have said "I DID know William Garretson was in there" if she were speaking from memory. However, it's entirely possible that she knew him and decided to spare him. She said that in hindsight, I believe. Read William's polygraph, you can judge if you think it's her? She's such righteous person, I'm sure you can believe her answer!! It could have been PK. AF was dead on the lawn in close proximity to the guesthouse. I also feel sure that VFhad been selling drugs from the house while the Polanskis were in Europe. He made a large investment in the drug MDA. It was in his system on his autopsy report s well as AF's. I was sort of surprised about her use of this drug. I looked up the drug MDA. It is now more commonly referred to as Ecstasy. It is both a psychedelic and an amphetamine. It is highly addictive. Is there a drug that can cause people to become brainwashed and KILL people? The murderers certainly seem to think so!!! Q. And what were the girl's names? A. Debbie Tidwell and Patty something (*). I'm not sure. I think it's Montgomery or something like that. So had he met Krenwinkel before and did she remember it? Thought I'd add I have found Debbie (right up to today) & Darrell (up to early 70s but no Patty Montgomery (of around her age) from Indio at all. This has been debunked. It was not Patricia Krenwinkle that met William. It was another Patricia. Is this the one from TLB Blog radio? Is there any evidence she is genuine? 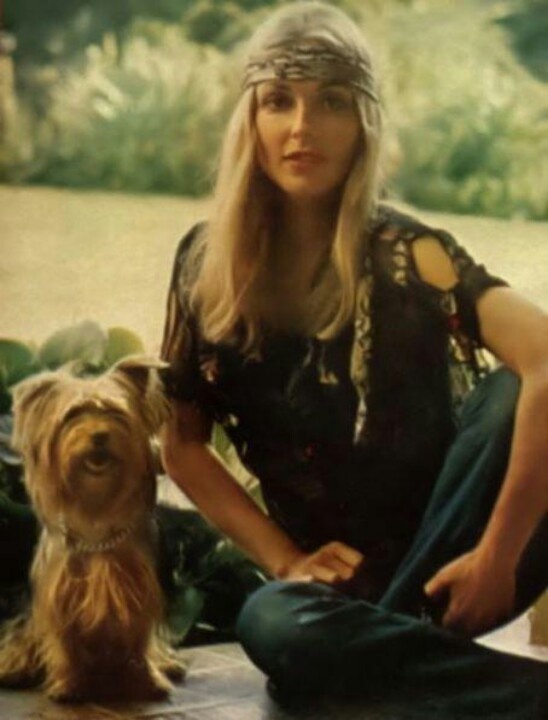 She stated she "met" Darrell at the guesthouse and said she was there well into August where she met Sharon Tate several times - none of this fits in with Garretson. And that was on a very quick listen. It was debunked as TLB radio had interviewed the Patricia in question, as Maudes stated. It was debunked as TLB radio had interviewed the Patricia in question,0 as Maudes stated. How could she have met Sharon when she had left before Sharon arrived back from Europe. I don't believe her at all. If it is "Patricia" of course.